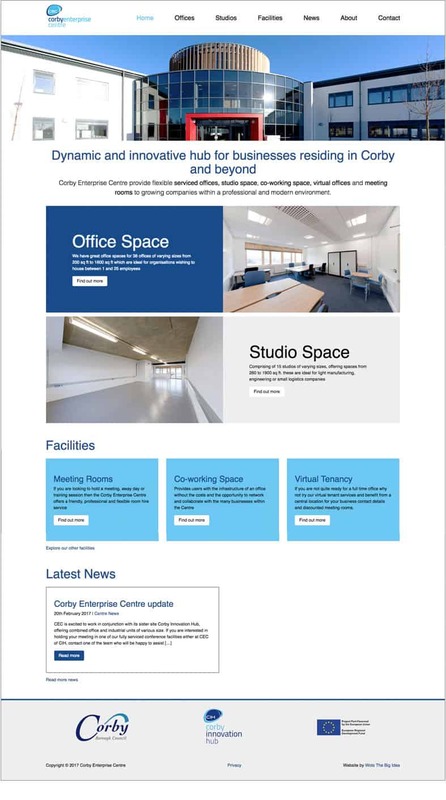 Corby Enterprise Centre spoke with WTBI to re-develop their their existing site into a responsive website to help the promotion of their flexible office and studio space. 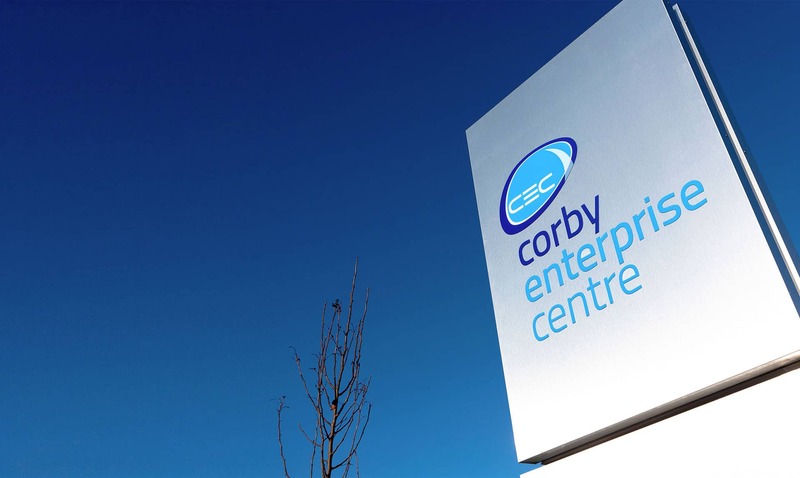 The centre offers flexible serviced offices, studio spaces, co-working space, virtual offices and meeting rooms to growing companies within a professional and modern environment. 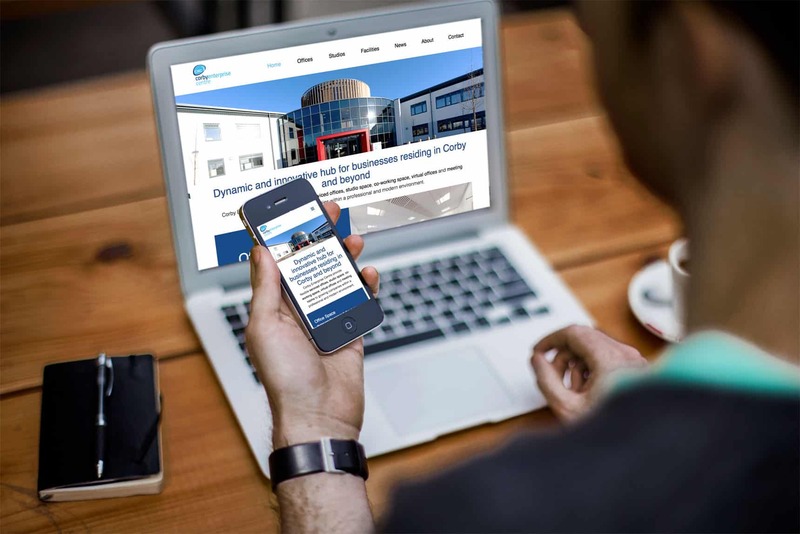 The main purpose of the site was to help provide quick and easy access to information on office and studio space in the building and to show availability of any space. 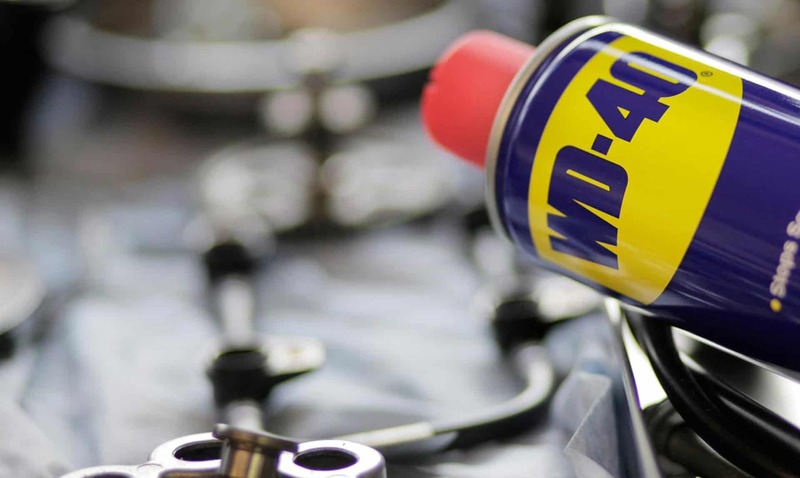 Office and studio space was made the main focus of the website home page giving the user quick and easy access to general information and the ability to drill down through that information in a few easy clicks. This has helped reduce the bounce rate of the website by over 27% along with increasing session duration by over 40%. A very clean, simple design was applied in brand colours to break down the office and studio space into two very strong, bold sections for maximum impact. 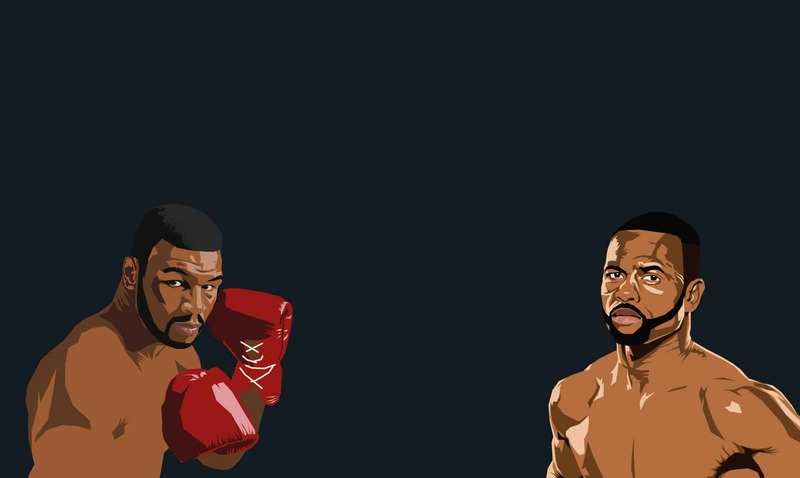 Designed for mobile first ensures small screen experiences are not compromised. Ensuring that mobile users can get to key content just as fast as desktop users. This approach has led to an increase of 71% in mobile traffic to the website and a reduction in mobile bounce rate of over 52%. 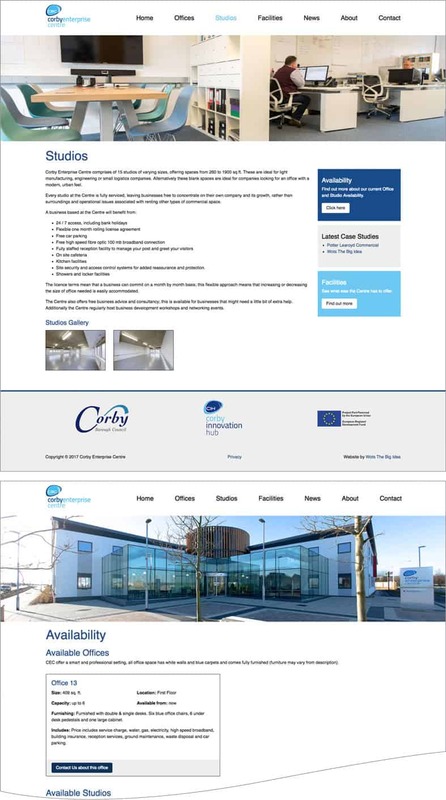 Corby Enterprise Centre’s website is built on the backbone of WordPress and allows the client easy access to an administration area for them to make changes as necessary to the site and space availability. This modular approach works well for mobile and any future additions can be added with the minimum of ease across all platforms. WTBI’s less is more approach to building websites allows us to not only focus on the UX but also the code structure that is used. This ensures that plugins are only used when required but also only called by the front end when needed. This means that there is a lot less bloat that has to be downloaded to view the website which in turn makes the site faster to load and faster to navigate around on mobile devices, 83% faster when compared to the old site.